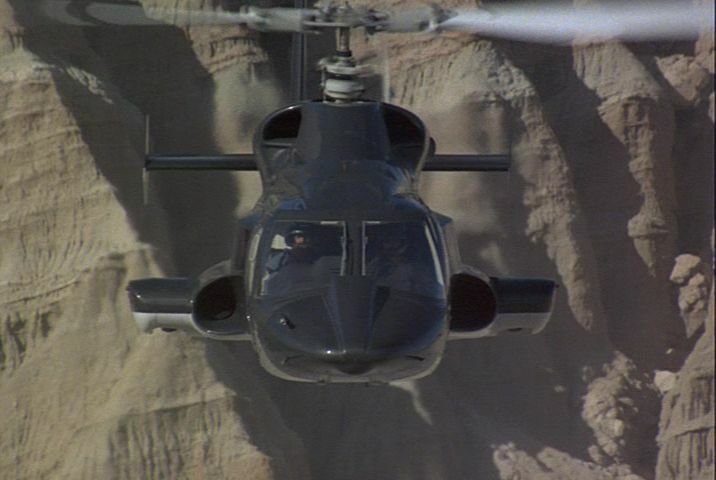 When I told my wife that we would be getting a copy of Airwolf to review, she immediately started humming the theme song. And I'd have to agree with that. 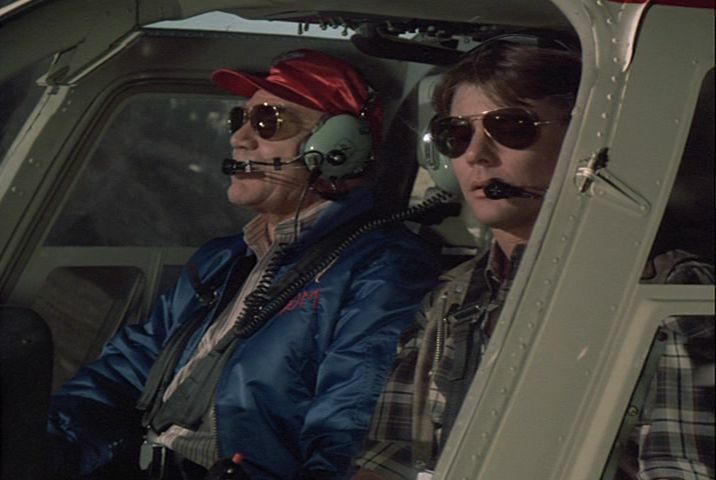 When coming across the word "Airwolf", probably the one thing that comes to mind besides a badass helicopter is that catchy, techno-style theme song that would infect your brain. Well, for those of you out there that like brain infections, I have graciously provided an audio file of the theme song so that you could listen while reading the following about this series. So, if you'd like, go head and start the music! 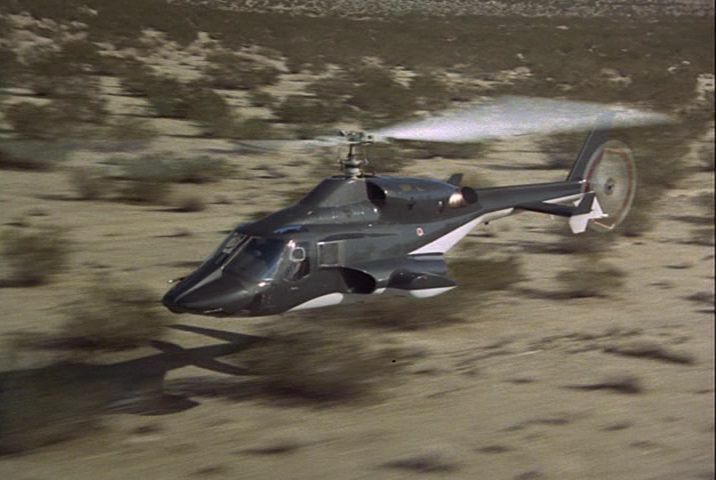 Airwolf is a sleek-looking, revolutionary new attack helicopter developed by an organization known only as The Firm... well, new for 1984 anyway. 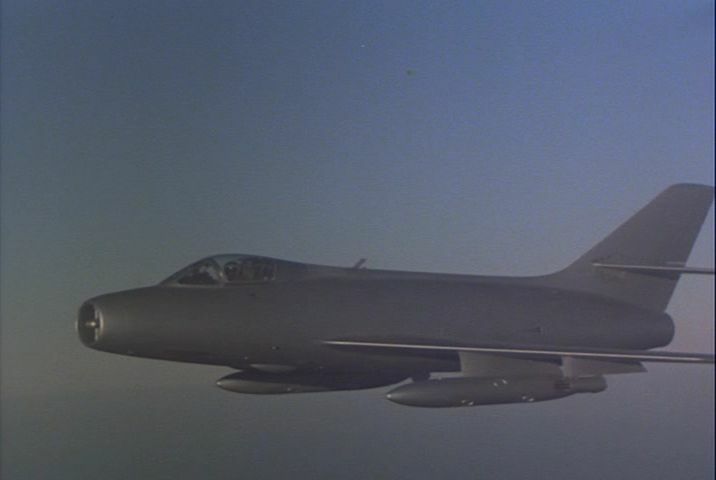 It seats a crew of three, includes an impressive arsenal of missiles and machine guns, is able to fly faster than the speed of sound, and just looks like one sweet ride, even considering it came from way back in 1984. For the opening of the first episode, we're treated to a demonstration of its skills. We see it flying extremely fast through winding hills, while keeping extremely close to the ground as to avoid detection by radar. 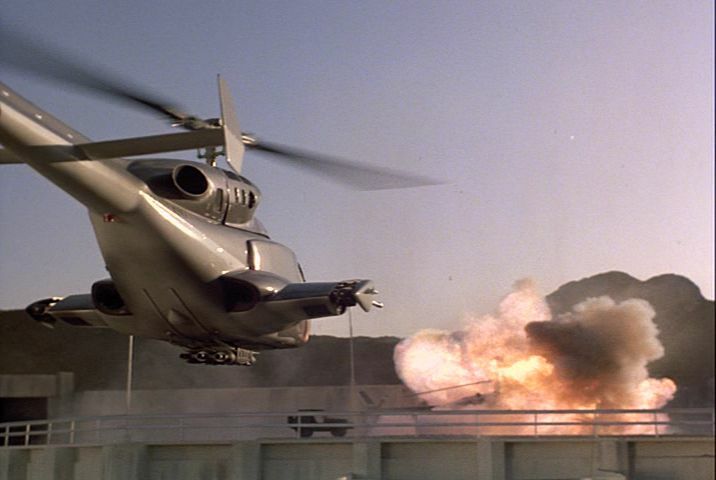 We also see it firing it's high-tech weaponry, destroying a couple of helicopter that explode about as realistically as a model would using a firecracker. 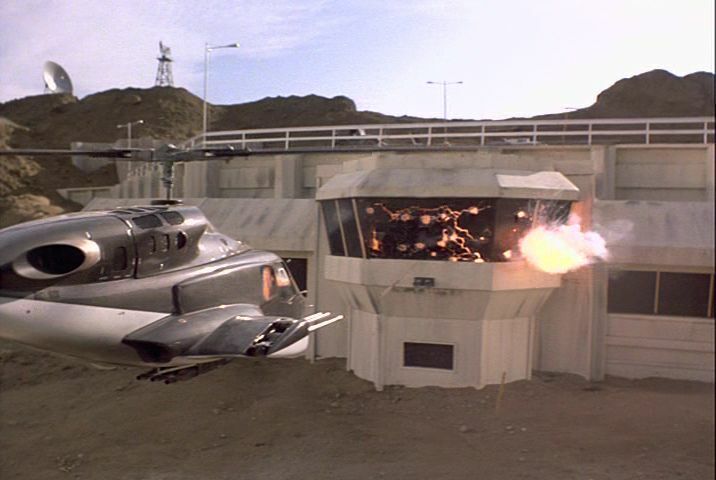 And then we see the crew turn traitor as they aim Airwolf toward their own command center and proceed to unleash a devastating assault upon it and everyone inside. The building may have been destroyed, but not everyone inside was killed. 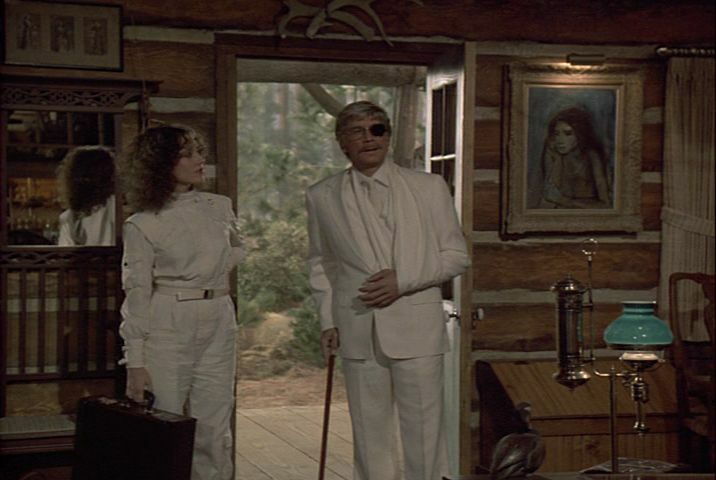 Decked out in his trademark white suit, and now equipped with an eye patch and cane due to injuries inflicted during the explosion, the head of the division that built Airwolf, Michael Coldsmith-Briggs III, code-named Archangel, seeks out the only person who would have a chance at rescuing The Firm's missing multi-million dollar project. That man: Stringfellow Hawke. 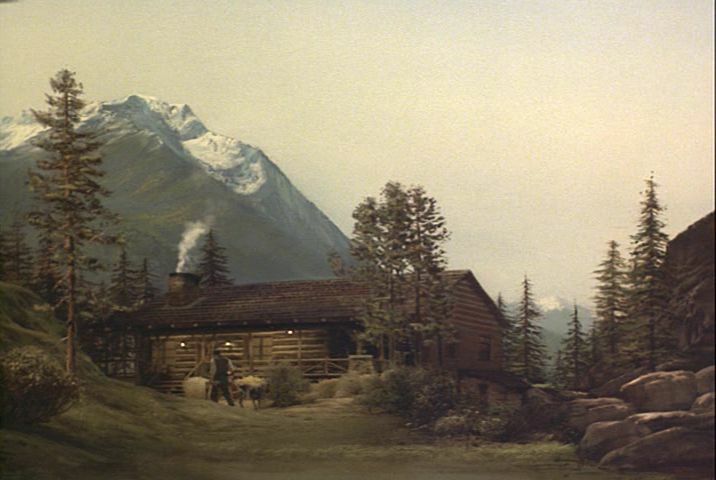 Living peacefully in his log cabin on the lake deep within some mountain forest, Stringfellow is none to happy at their arrival, especially considering their helicopter scared off the eagle that he had been attempting to gain trust with. And how do you gain the trust of an eagle? Why, by playing the cello of course! And he must have some magic powers too, 'cause one stroke of his cello bow caused like three strokes to play. Anyway, so I'm sure you know how the next part goes. Stringfellow at first shows no interest, but eventually comes around and agrees to help, but only if The Firm agrees to look into finding his older brother, Saint John, who went Missing In Action during the Vietnam War. Of course, it's not like Stringfellow had a whole lot of choice in the matter. 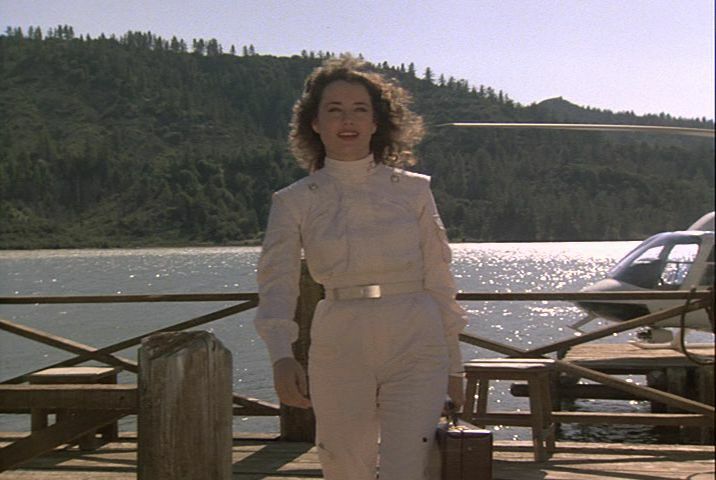 Not only did the treacherous trio recently used Airwolf to annihilate a U.S. Destroyer, but they also discovered that the exotic dancer whom graced their little entertainment stage was actually a spy for The Firm... and so they tortured and killed her. Since The Firm heard nothing from their agent, they sent another one in... Gabriel, Stringfellow's love interest. So to help him out on this mission, Stringfellow recruits an old friend and mentor, Dominic Santini. Santini is also a top helicopter pilot, and is the owner and operator of Santini Air, a company which provides, among other things, air stunt services for movies. 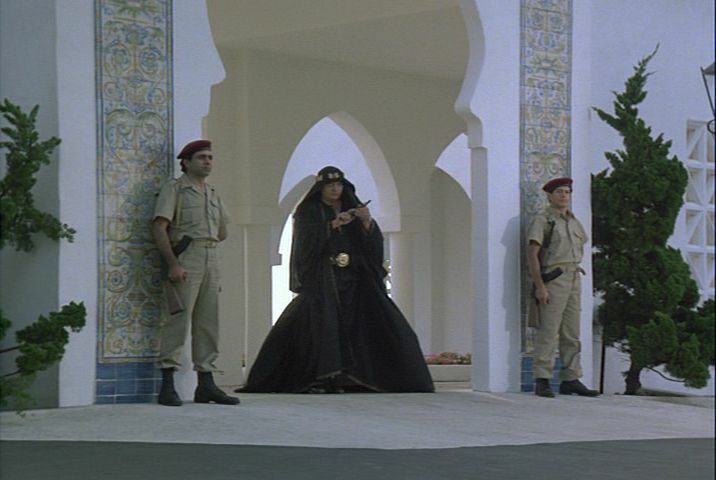 Together, the two slip into Kafir, Libya, and then infiltrate the base where Airwolf and its traitorous crew are held up, living like kings. 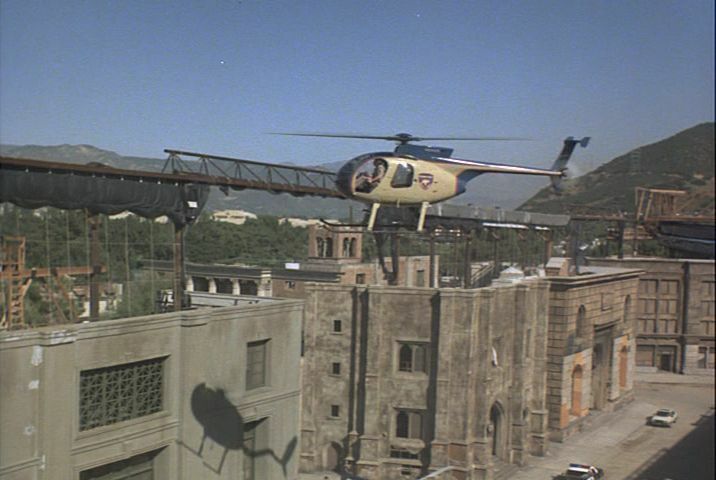 Stealing back the impressive copter is made out to be a fairly easy task, but then they must fly the high-tech machine out into the blazing hot desert to rescue Stringfellow's love interest from Moffet, the mastermind behind the treacherous theft. 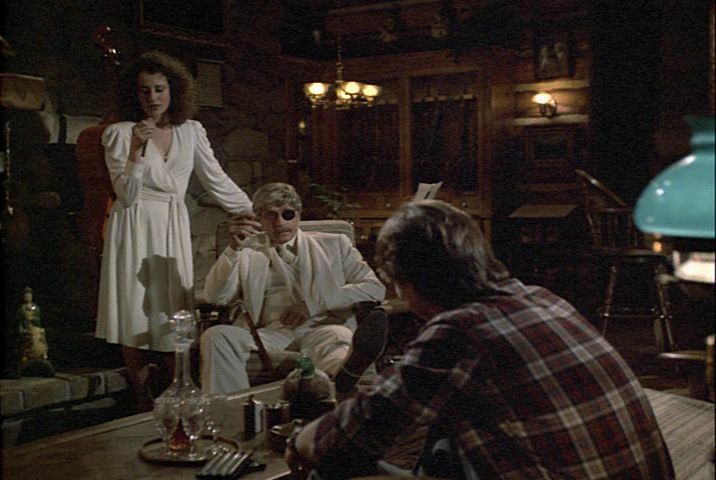 Unfortunately, Stringfellow arrives just in time to witness Gabriel slip away into death. 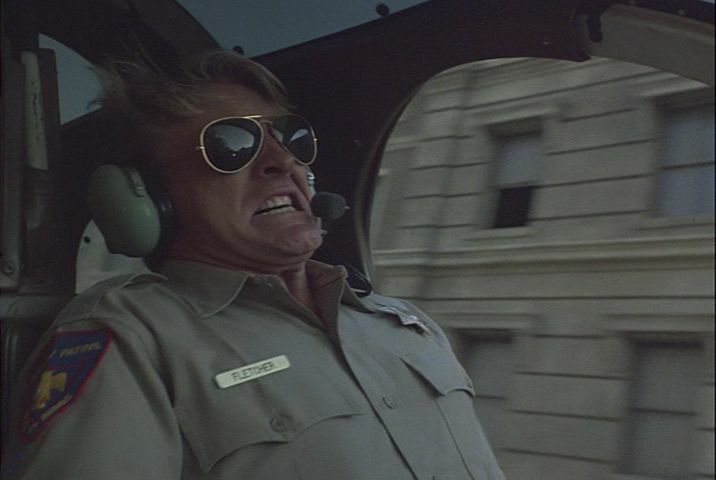 Now fueled by rage, Stringfellow jumps back in Airwolf and takes off after the evil villain, following the only jeep tracks leading away from his lost love. 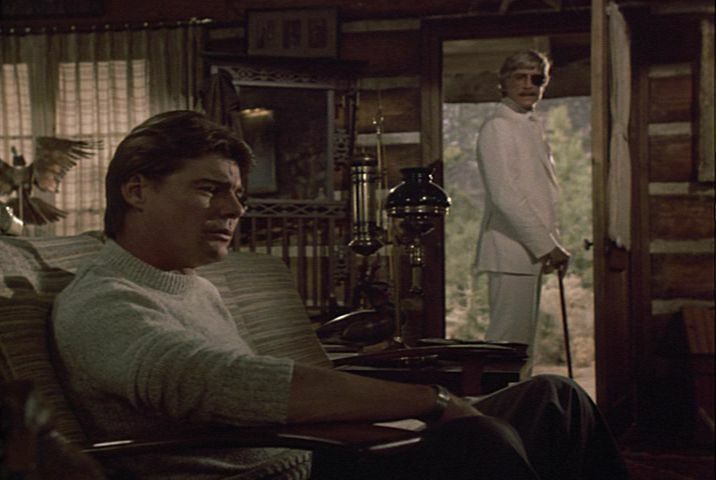 Eventually he catches up (obviously, he IS in Airwolf after all), coming face to face with Moffet. 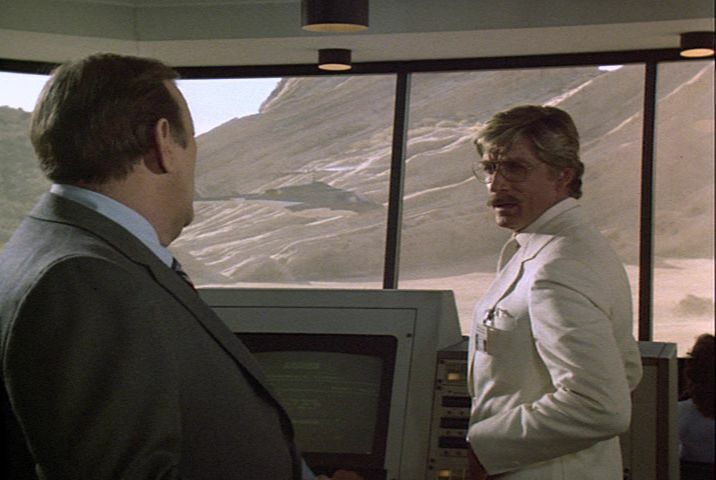 This is quite a sight to see, with Airwolf hovering directly in front of Hoffet and the cockpit positioned in such a way that Stringfellow could stare him down. 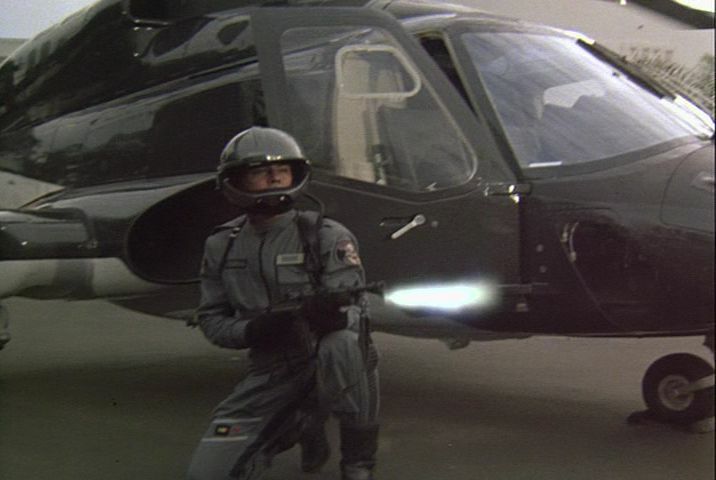 Our villain then pulls out his pistol and takes careful aim at Airwolf's one major weakness: its midair refueling slot. 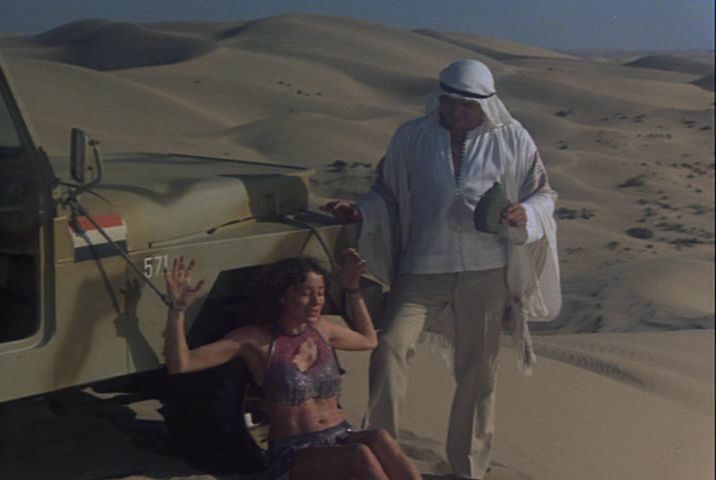 But before he can pull the trigger, and then in true 80's fashion, Stringfellow lets loose a barrage of weapons to blow the hell out of not only Hoffet, but the entire sand dune he was standing on. Ah, but the story doesn't end there. 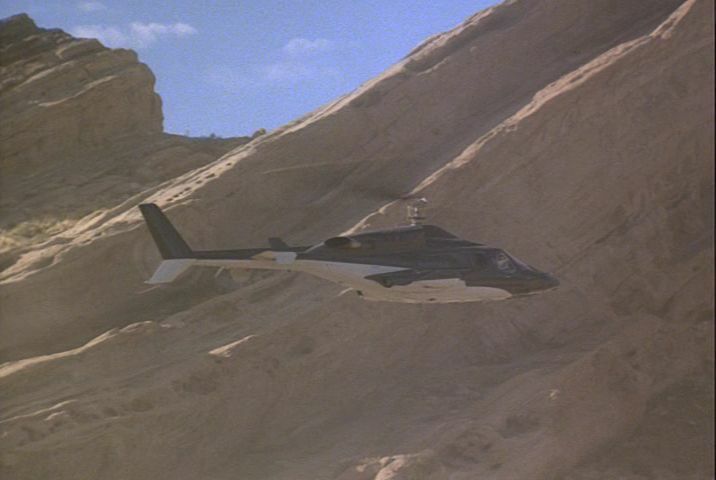 After the mission, Stringfellow hid Airwolf in an empty cave somewhere in the Arizona desert, where nobody could find it. He refuses to turn it over to The Firm until they find his brother, alive or dead. So they make an agreement. 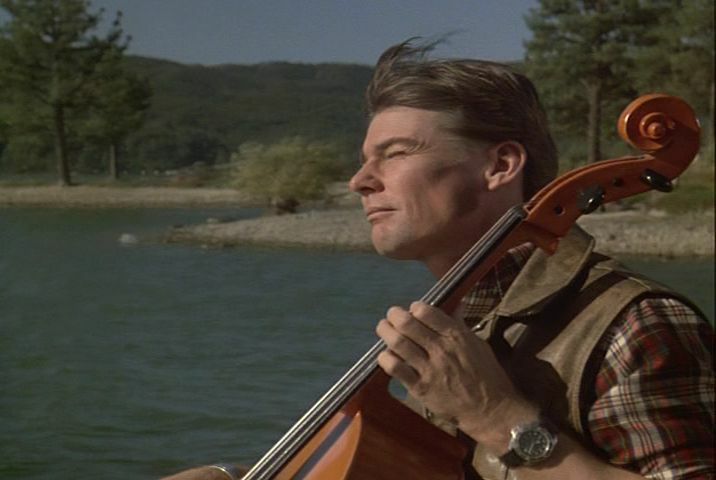 The Firm will continue the investigation to find his brother, and in the meantime Stringfellow will bring Airwolf out of hiding when the need arises. 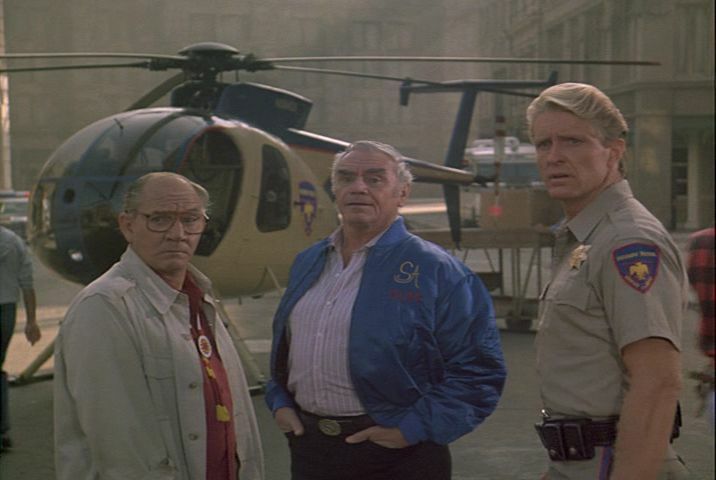 And thus begins the saga of Airwolf, with Stringfellow and Santini jumping into the copter each week to foil some dastardly plan. In all actuality, the storylines for the series, at least for season one, were pretty good and have held up well, which was kind of surprising to me considering the show is over 20 years old. On the other hand, most of the special effects don't hold up all that great. 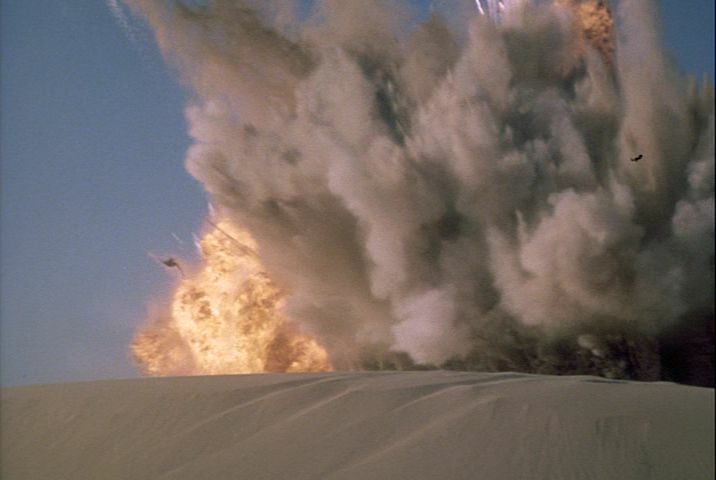 Most vehicle explosions look like models destroyed with a firecracker, gunshots look like they were drawn in, speed flying looks just like sped up film, and conversations in vehicles, especially when Stringfellow and Santini take the jeep out to get Airwolf, look like they have a background screen scrolling behind them. There are occasional explosions that do have some realism to them, and the copter flying looks good, but yeah, compared to today's shows, the special effects are laughable... but that's not necessarily a bad thing. I mean, who doesn't like to laugh? It was fun to watch again after all these years, and definitely kept me entertained. 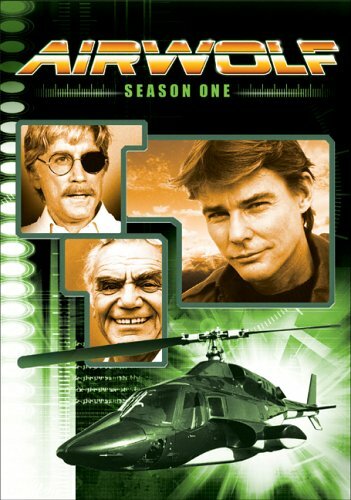 Airwolf - Season One is being released by Universal Home Video on DVD starting May 24, 2005, and stars Jan-Michael Vincent, Ernest Borgnine, and Alex Cord.